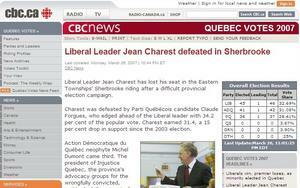 Quebec politics are always interesting, and sometimes detestable. The past few months have proven this again to be true. Quebec students are marching in the streets by the tens of thousands on a regular basis demanding that the government reverse its plans to hike tuition rates to a level that would keep them paying less than any other student in North America. There has been violence, tear gas, broken windows and the provincial education minister has just quit. 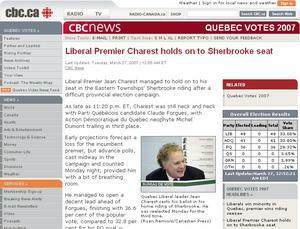 The man at whom the chaos is targeted is Quebec’s Premier Jean Charest. 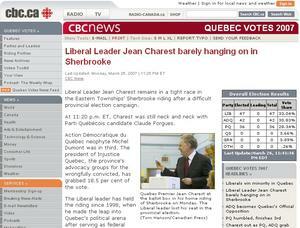 Polls prior to the the street demonstrations showed him to be the least popular premier in Canada. Current polls show that the longest student strike in the province’s history have swayed the sympathy of few Quebecers. Elsewhere, scandals have mounted for Charest, the latest and most serious being allegations of corruption within the multi-billion dollar construction industry that seems to innervate every level of Quebec’s political class. 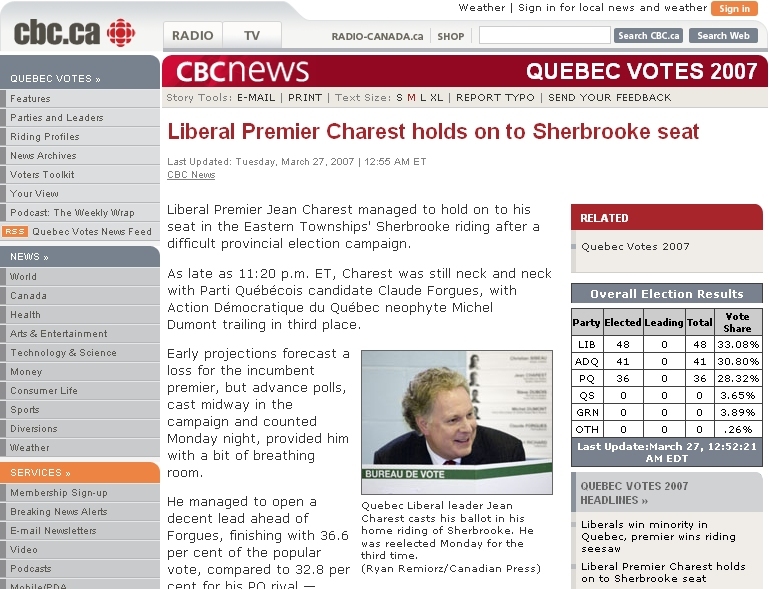 Charest must call an election by 2013, and if he is to survive facing long odds — as he has done before — he must be mindful of timing. Quebec faces a summer of discontent, and the premier must be seen to be putting the house in order, or at least refusing to hand over the keys to the street mob. Acquiescing to student demands would be foolish and would remove electoral ammunition from Charest’s already dwindled stock. Earlier, Charest offered the students a deal he knew they wouldn’t accept — if only to illustrate that reason was contemptible to them. Quebec summers generally see a panoply of strikes and demonstrations from the labour movement. and — it being an election year in the U.S. — copycat occupy protests will return to the parks and streets of Montreal. Pressure will mount, and so will the impatience of ordinary Quebecers against the faction of society Charest would profit to wedge against. Charest’s main electoral competitors are the Parti Quebecois, who promise to expand state benevolence to those seeking handouts, and the upstart party of François Legault. Legault’s CAQ promises a handful of right-leaning solutions for a province whose people have complained about the corrupt entitlement class of politicians running the show in the capital in Quebec City. If Charest has any hope of victory, he must tack right and co-opt Legault, and represent a populist champion against those who take from society at the expense of those who make society. Say what you will about the issues of state largesse, what makes education accessible, or Charest’s fitness to be re-elected. The Premier will be making these calculations as he considers his political future in the coming weeks. There is no better time for Charest than this summer to call an election and frame himself as a leader who will emphatically say ‘no’ to the students, and ‘no’ to the growing entitlement-seeking labour movement. It will only get worse for Charest as pressure from inquiries into corruption mount. Quebecers may not like Charest very much, but given the draining aspects of Quebec’s economy that he’s up against, he should be eager to show that a bold ‘no’ mandate may be the least detestable option. 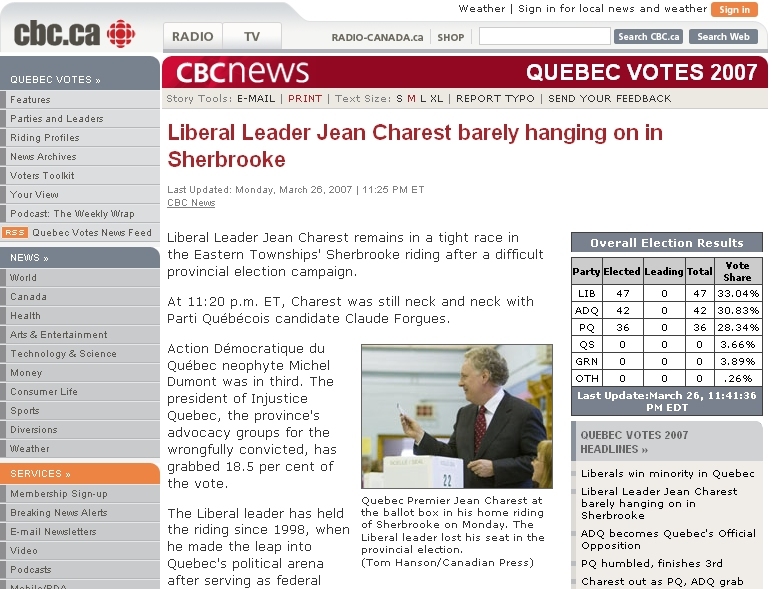 Jean Charest is the victim of an April Fool’s joke in Quebec this morning as tweets go flying about his reported resignation. Of course, the news isn’t true as “mauvaisoeil.com” was not considered a reputable news source in Quebec last time I checked! 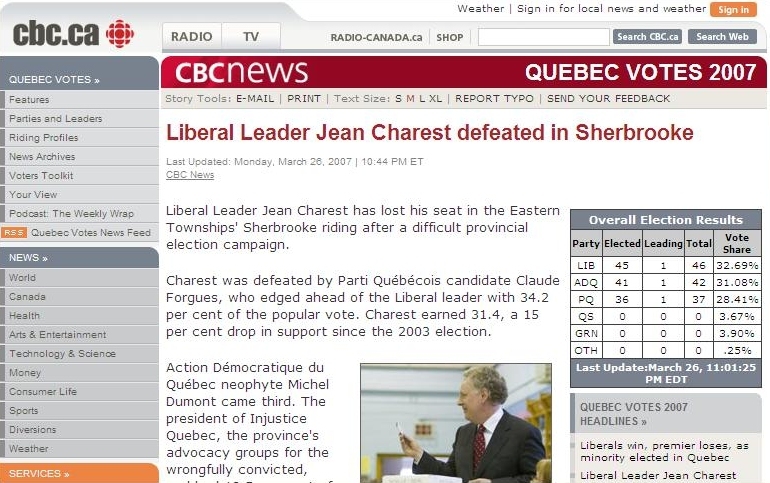 The website is mocked up to look like cyberpresse.ca and probably had a few people spitting out their coffee this morning when they saw the headline topping a teary eyed Photoshopped image of the Quebec Premier. The fake news site reports that the legislature will not sit on Tuesday as Liberals scramble to select a new leader and reports that Finance Minister Raymond Bachand has been selected in the interim. The article alleges that Charest’s resignation comes on the heels of an RCMP investigation in the province of political links to unions that work in construction. An unrelated headline in the sidebar links to a story that suggests that Greenpeace is upset because the internet is powered by coal. I’d hate to be at the postmortem that is likely scheduled this morning at CBC. Mario Dumont is the big story in Quebec tonight. The right-of-centre populist leader of the ADQ came from five seats to 41. Dumont himself had predicted 12-15 seats. He now finds himself as the rudder of a censured Liberal minority government. Indeed, because of the very fresh breakthrough of the ADQ, it was unknown how the seats would be distributed and at certain points of the night, it appeared as though the party might even form government. 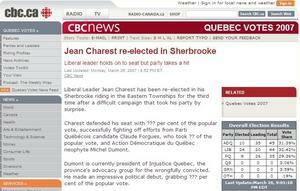 Now Dumont has a solid opposition against Charest’s Liberal minority. Since Charest and the bloodied Boisclair will likely face leadership contests during this next sitting of the Quebec Parliament, Dumont will have a chance to show Quebec that his party can be a responsible political broker, much like Stephen Harper is showing Canada with respect to his own right-of-centre party. Dumont will have a bigger microphone (and conversely, a brighter spotlight) as he stands on the platform of opposition leader. The time that Dumont spends during this sitting of the Quebec Parliament will give his party an opportunity to mature (in shadow cabinet rather than in the actual one). On the sovereigntist Parti Quebecois, this election represents a disastrous result as the party hasn’t been so battered since 1970. We may not even see another referendum on sovereignty for another decade or more. Again, this represents good news for Quebec as the governance of that province can focus upon real issues for Quebeckers (finance, healthcare and education) and we may see a reconfiguration of the Quebec political scene on a left-right axis rather than the now classic federalist/sovereignist one. Dumont signaled that the province has turned the page politically and has “entered the 21st century”. Even the PQ’s Boiclair noted that Quebec needs to develop in Canada and in the world. This represents an interesting insight into the evolving political scene in Quebec. 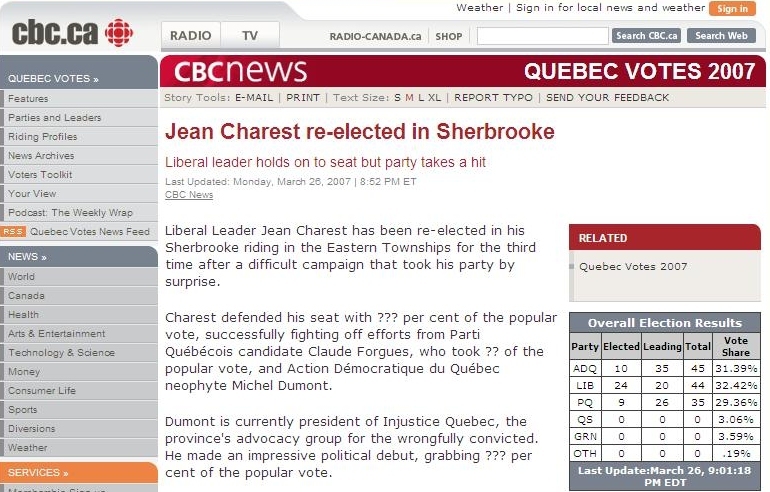 I think that it may be too soon to declare that Dumont’s success represents a new wave of conservatism in Quebec as some of Dumont’s electoral fortune was likely a result of a protest vote against the other two parties embroiled in the old Canada/Quebec debate. However, Dumont did run on family issues (such as a childcare benefit, similarly styled after the Harper plan), the economy, taxes and integration of immigrants. Notably, the only significant region that Dumont couldn’t confidently crack was the island of Montreal. The regions and the middle class delivered for Dumont (again, this sounds like Harper). The election of the ADQ to opposition status may not represent a tidal wave of conservatism, but there’s certainly a strong undercurrent. Dumont and Harper’s electoral fortunes may be closely linked as the autonomist is now on the radar of the decentralizing federalist. Political observers will remember the so-called “Harper fluke” of 10 seats that the Prime Minister won in Quebec during the past federal election. However, Harper came in second place in more than 40 other Quebec ridings and these regions overlap with many of the 41 ridings won by Dumont. The Prime Minister had two solid allies in the Quebec election and they both did well. Stephen Harper will be able to tell Quebec-nervous Ontarians that the Parti Quebecois fell to third place under his Prime Ministership.